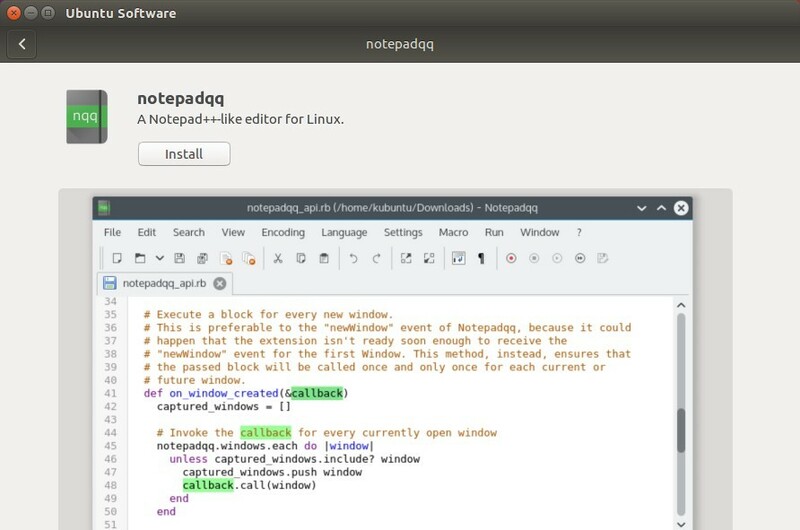 Notepadqq is a free and open-source Notepad++ like text editor for Linux. With more than 100 languages support, it is the ideal editor for your daily tasks. This tutorial is going to show you how to install the latest Notepadqq in Ubuntu 16.04, Ubuntu 17.10, Ubuntu 18.04, and their derivatives. The Appimage is a single executable file. Simply make it executable in its “Properties -> Permissions” dialog, and then run the file to launch the editor. 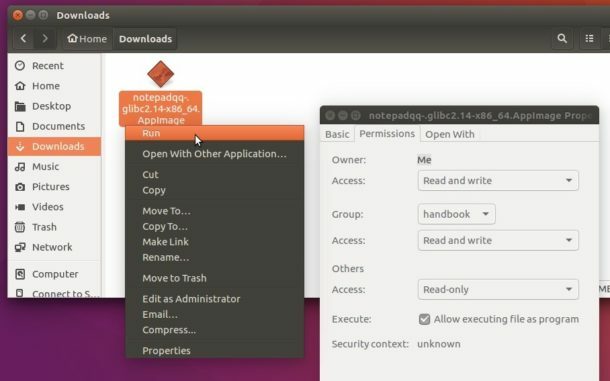 The software has an official PPA that contains the traditional .deb packages for all current Ubuntu releases. Once installed, launch the editor from your application launcher and enjoy! 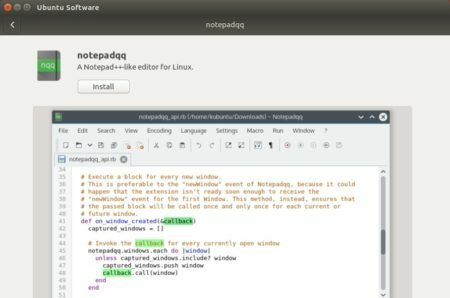 Notepadqq snap package, the universal Linux package format, now is available in snappy store for Ubuntu 14.04, Ubuntu 16.04, Ubuntu 17.10, and higher. 2. Then snap can be installed directly in Ubuntu Software, though it runs in sandbox and is kinda large in file size.